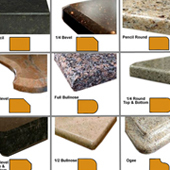 Granite edges for countertops are available in many shapes. The detail of the shape of granite countertop edges will affect cost, function, and cleanability. 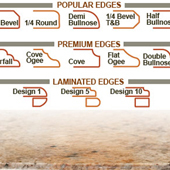 Stone edges are a design element that you get to choose prior to fabrication. The edge or profile that you choose can have a dramatic impact on the look and feel of your granite counter tops and your kitchen. It can also have an impact on the cost of your countertops. 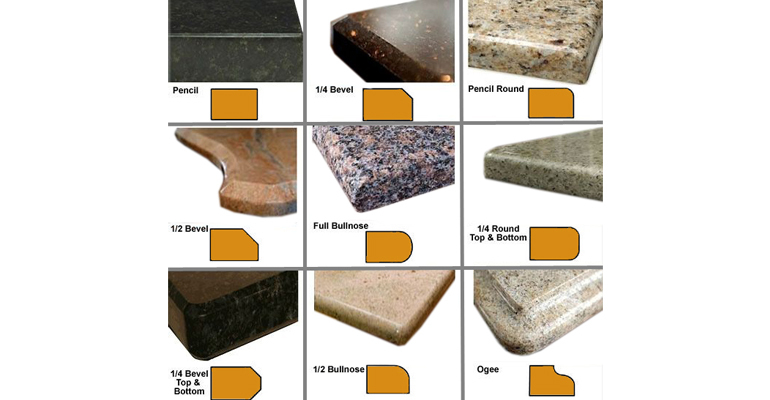 Granite countertop edges can be simple or complex, with curves or sharp angles. Your contractor may use a different name for an edge than what is shown here. Be sure you understand what his or her definition is of the edge you are interested in. Edges included in price: Pencil (Straight), ¼ Round, 3/8 Round, ¼ Bevel. 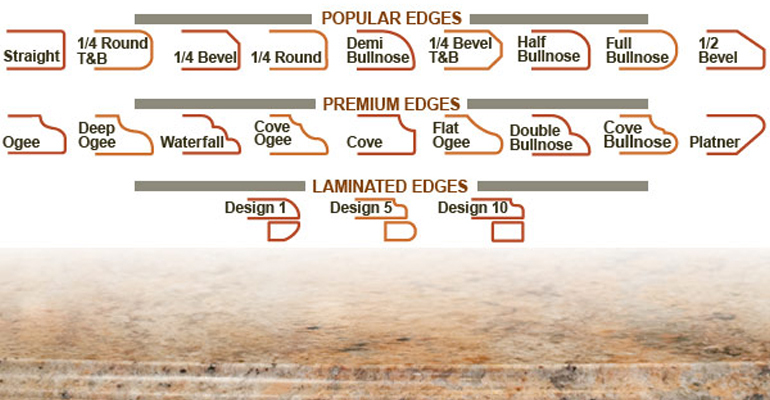 Other popular edges: Half Bullnose, Full Bullnose,½ Bevel, Demi Bullnose, Ogee.